And what a great birthday he had. We went to the mall after and rode the merry-go-round and the train. He played on the playground there for a long time. He had a great day. Today we had his birthday party. 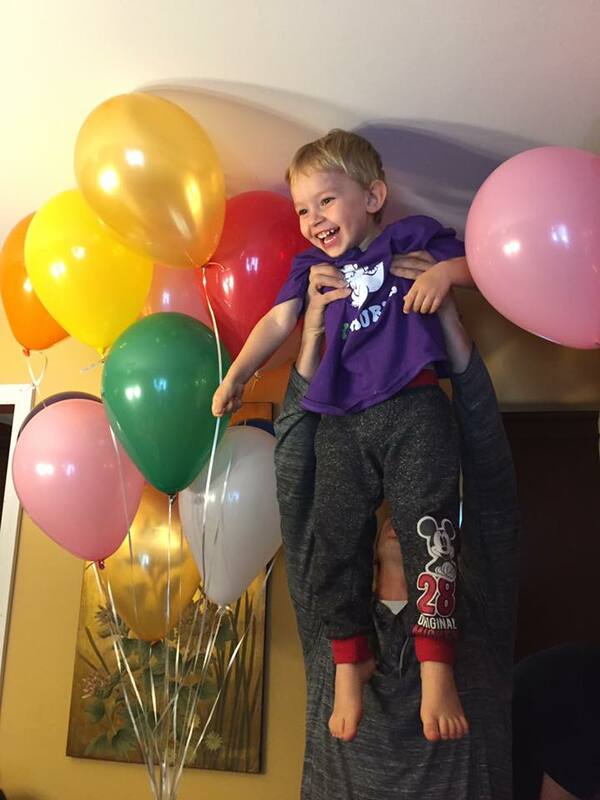 Grandpa filled a bunch of helium balloons for him and he thought it was the greatest ever. He took one to bed with him and threw a giant tantrum when he accidentally let it go. The other kids all loved them too. All the food I made turned out really well. I made vegan chocolate ice cream and it was actually really good. The cinnamon ice cream and chocolate cake were also hits. I also made baked french toast for the first time and that all went too. As did Grammy’s “anya” (lasagna). Filed under Uncategorized |	Comments Off on Owen is Three! New look, new host, same blog. Let me know if you have any problems.